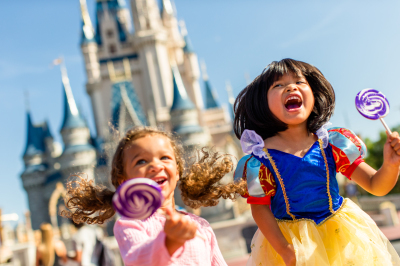 My concierge services are the perfect choice if you already have accomodations but you could still use some help planning your Disney vacation. Let me take the stress out of planning. I will take care of all the details so you can relax and get excited for your magical vacation. Dining reservations for your trip, made before you travel - and I will continue to look for better times if I could not get them at first. Ticket suggestions based on your preferences, park hours, and crowd patterns. A personalized itinerary that includes park hours and dining reservations noted for your specific plan. Maps of all the parks. Tips and tricks to maneuver the parks like a Mouse Expert. A letter to the kids in your party from a Kid Expert, if applicable. If you are staying at a Disney resort I will provide assistance with Disney's latest technology - The Magic Band. Text Access to the Mouse Experts during your trip. If you have a question, we're only a text away. There is a $50 up charge for parties larger than 8.